Oh boy! If you're a Disney fanatic, like me, then you know the famous quote by Mr. Walt Disney himself: "It all started with a mouse." That said mouse is now famous all across the world. Who is it? It is none other than Mickey Mouse! Today is a very special day for the mouse who is always smiling, bringing joy to families, and making dreams come true. It is his 86th birthday! First, Happy Birthday, Mickey! Second, can you believe he is 86? He sure knows how to age well. Most likely, his ageless secret is always smiling, laughing, having fun, spending time with Minnie, and living at the happiest place on Earth. 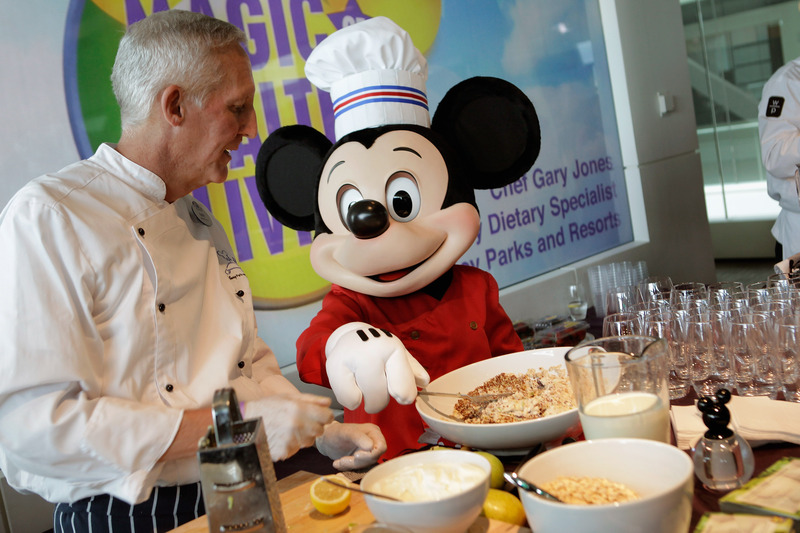 Whether you meet him at Walt Disney World or Disneyland, Mickey is Mickey. Meeting the friendly mouse never gets old, and he never changes. He's always willing and ready to take photos and sign autograph books, and who can resist that? Every summer I visit Disney World, I can't not take a picture with the iconic character. And guess what... neither can celebrities. I love seeing stars sharing their Disney trips with their fans via social media. What makes those visits even better are photos with Mickey Mouse. So, why not celebrate Mickey's birthday by taking a glance at a few celebs who love Mickey as much as he loves them.